As long as we can remember in the history of ranching out here in the west, we think about the cattle drives and roundups that occurred here and still occur at the center of raising and selling cattle. Dutch was the cook and he was famous for his chuck wagon grub. A beef was butchered and hung up to cool on a wagon tongue. Dutch would cut meat off the critter and it went directly into the iron stew pot that hung over the campfire. Beans, biscuits, spuds and stewed fruit made in to a cobbler or pie were common fare. Jack Elliot was the roundup boss in 1919, and usually bought his supplies at the Waldo Store in Purcell, east of Pierce. The ex-sheriff of Weld County and a figure out of the old west, Elliot owned a ranch in the Chalk Bluffs. Elliot was a tough, hard riding and straight shooting man of his word, cowboy. Sometimes, milk cows were taken along to supply milk and cream. Eggs were rare, but in the early days of the 1800’s the cowboys looked for nests of prairie chickens, or other birds, to collect eggs on the trail. 12 or 14 inch Dutch oven. You will notice in the photo above how Dutch suspended the oven over coals in the fire pit. Dried cow chips were used for fuel if firewood couldn’t be found. One could imagine what went on in a cow camp. Who washed the dishes, you wondered? Each cowboy washed his own tin plate and cup, and everyone who could, pitched in to help. But Dutch had some hard and fast rules and one was “come and get it” when ready and no horse play around the camp. Dutch took his job seriously. The Northern Drylanders Museum in Nunn also takes history seriously and is now ten years old. Happy Birthday to Us! The Museum is 10 years old, the dream is real, a Museum is born and grown into a wonderful place of History and Culture. Come Celebrate a Grand Re-Opening with us at 12 noon Sun., Aug. 8. The Northern Drylanders Museum is ten years old and the future looks very bright indeed. The museum will have the annual meeting Sun., Aug. 8, beginning at 12 noon. We will celebrate a grand re-opening and dedication. 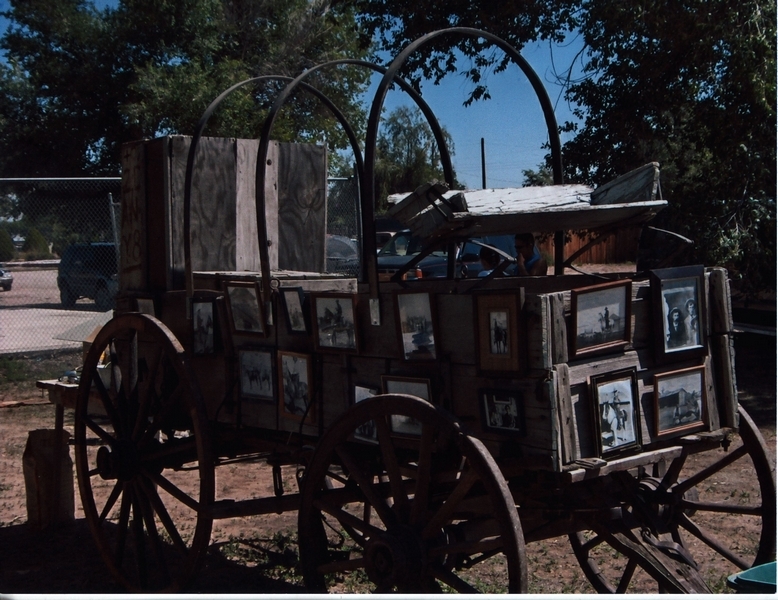 Ivan Wilson, founder and Curator, and the Museum Board will welcome you to partake in a chuck wagon dinner in the park. Please bring a salad or dessert. The main course of beef brisket, cowboy potatoes, roundup beans, biscuits and drinks will be furnished. The annual meeting of the High Plains Historical Society and a program will occur after lunch in the Museum. We are hoping to schedule some live music for the event.